It's that time of year again, when video game developers from around the world gather in Los Angeles to give us news and a sneak peek into what they're working on and what new titles we can expect to see in the coming year. This conference is called E3, or the Electronic Entertainment Expo. This year's E3 begins with press conferences on June 9th that continue until Tuesday, June 12th. The actual expo begins that same day and will carry us until Thursday, June 14th. Here's a quick rundown of what you can expect to see, and at what times, as well as what the Armor Techs hope to see from the press conferences and the expo this year. The iconic logo for E3 2018. Saturday begins with a conference from Electronic Arts (EA) at 1:00 pm CT. We already know there will be plenty of sports titles from this publisher, as there are every year, at E3. We're looking forward to seeing how EA responds after their massive controversy over loot boxes with their announcement and release of Star Wars: Battlefront II from E3 last year. The last few years have honestly been a bit of a bumpy ride for EA, and this year might not be different. The new title Anthem being developed by EA's child company Bioware is expected to be the next big hit from this publisher. There was a brief, nine-minute preview of the game last year at the Microsoft conference, and it looked gorgeous and very well polished. This year, however, EA is keeping their projects under wraps until their section of the conference, although their developers have tweeted a teaser to the trailer that should be available during E3 this year. We hope to see some additional gameplay for Anthem, as well as the announcement for Battlefield 5 (and the potential battle royale mode that might come with it, right?) during E3 this year and are excited to see how EA redeems themselves this year. Will it be the year of Battlefield: Battle Royale? Fingers crossed. 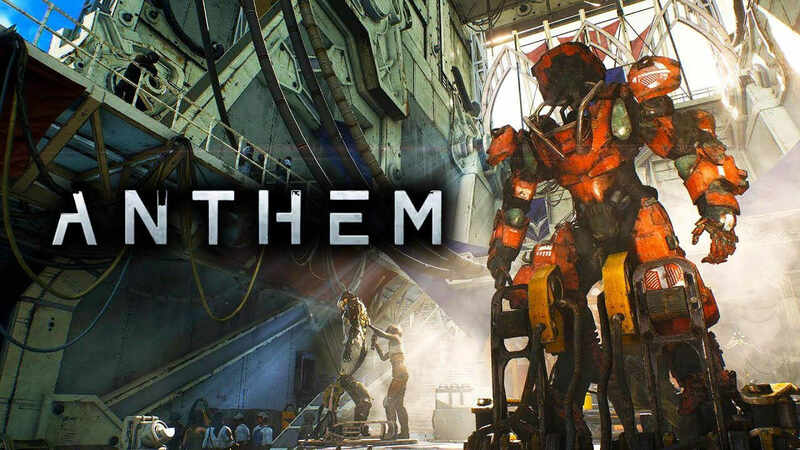 Anthem, EA's new flagship IP Action-RPG about a bold few who leave civilization behind to explore unknown worlds. Sunday lets Microsoft and Bethesda take the spotlight, with Microsoft starting at 3:00 pm CT. Last year, Microsoft announced the Xbox One X at E3, and we saw it roll out on November 7th of the same year. Now, with the title of most powerful console out currently, it's time for Microsoft to start putting out some games to take advantage of the powerful hardware, beautiful graphics, and a console they've kind of neglected. As of writing this post, nothing has been announced or confirmed for the Microsoft slot of E3, but we'd like to see a confirmation for Crackdown 3 and a release date. With the secrecy that Microsoft has been keeping around this conference, it might very well be time for them to announce a much larger title for the Xbox One X as well, like the sixth game in the Halo franchise. Hopefully, we see some new IPs this year as the Xbox One X currently lacks these heavily. 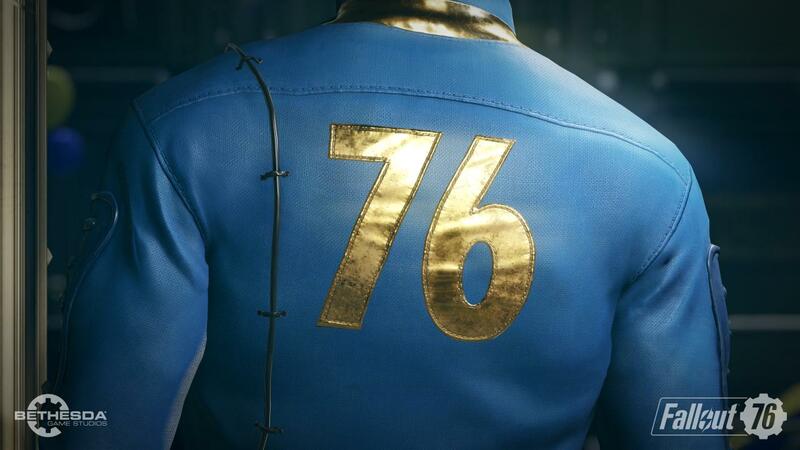 The newest title in the Fallout franchise—Fallout: 76. Honestly, it's probably unlikely that we'll see Elder Scrolls 6, or anything resembling it, but we're hoping for bigger and better things. Bethesda, if you're reading this, please know that we know Skyrim runs on everything—we don't need you to prove it. Monday will kick off with Square Enix at 12:00 pm CT, although this one will be pre-recorded. We've already gotten a taste of what everyone is looking for from Square Enix this year, in a teaser and gameplay demo of Kingdom Hearts 3. We'll be looking forward to more gameplay, announcements of new mechanics and worlds to visit, and hopefully a release date. Although, some of the more die-hard JRPG fans might be looking for information on The Final Fantasy VII remake we saw two years ago and haven't heard anything about since. You should also be able to expect the next installment of the Tomb Raider franchise, being Shadow of the Tomb Raider. Overall, Square Enix's showcase during the press conference is pretty cut-and-dry. Unless they decide to spring a new IP we haven't heard about, you can expect it to be rather similar to previous panels by them. Taking the stage after Square Enix is Ubisoft at 3:00 pm CT. Ubisoft's conference in 2017 was great, with the announcements of Assassin's Creed: Origins, Far Cry 5, and Mario + Rabbids: Kingdom Battle. This year, Ubisoft already plans on showing off the next installment in the Assassin's Creed Franchise, Assassin's Creed: Odyssey. This time the game is set in Ancient Greece, so get your "This...is...SPARTA!" yell ready. You can also expect to see some more of Beyond Good & Evil 2 and there is a rumor that The Divison 2 could be shown off as well, along with Far Cry 5 DLC. Ubisoft tends to please the crowd during these events, with a TON of super popular IPs that they can show off new titles or DLC for—this is definitely one of the conferences to keep an eye on this year as well. After Ubisoft clears the stage, we have the PC Gaming Showcase at 5:00 pm CT. This portion of the conference is for new PC games that don't fit into the other panels throughout the event. Going on it's third year as a part of E3, the PC Gaming Showcase was arguably the best showcase of 2017 and could battle for that spot again this year. Although we don't have any pre-announced games to look out for, we can expect at least a few reasonable titles to show up during this event, and to show us which games we'll be looking forward to in PC gaming this upcoming year. Monday is chalk-full of different conferences, with Sony ending the day at 8:00 pm CT. Sony has announced that they will be revealing one game a day, starting on June 6th, and going all the way through their conference on Monday. This conference will give us some much wanted information about the most talked about title for E3—Death Stranding. We are also expecting to see some of The Last of Us: Part 2, Days Gone, and Marvel's Spider-Man. There is also a rumor about Sony and PlayStation 4 Virtual Reality—so be on the lookout for that as well. We begin the final day of press conferences with one of the most well-known companies at the whole conference: Nintendo at 11:00 am CT. While ending the press conference section, Nintendo also kicks off the actual E3 Events. We've already seen some of what Nintendo is planned to discuss, including in the little-known franchise called Pokemon. Nintendo announced Pokémon: Let's Go Pikachu! 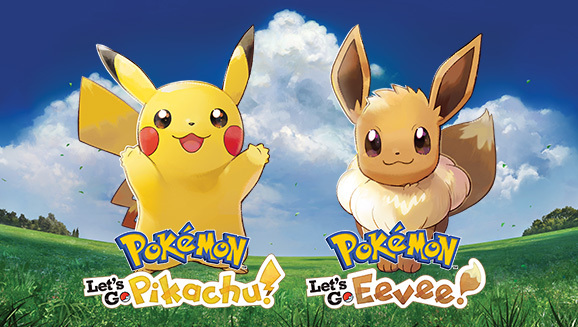 and Pokémon: Let's Go Eevee! earlier this month alongside a Switch/Mobile title in Pokémon Quest. We can also expect to see more along the lines of a Yoshi-focused title, and Metroid Prime 4 that we saw a little of last year. I'm sure you all can guess where I'm going next, but let's ease into it. There's a specific game title that has taken over basically the entire world, from consoles to PC and even mobile, and with cross-platform play. This game took the world by storm and is probably being announced as a future title for the Nintendo Switch. If you haven't guessed it already, I'm talking about Fortnite Battle Royale. With its ease of access, compatabilty, and popularity, it would almost be foolish of Nintendo and Epic Games to not consider porting it to the Switch. Pokémon: Let's Go! A new title featuring a remake of the original Kanto region, with more casual features from Pokémon: GO. Overall, the Electronic Entertainment Expo for 2018 should prove to be an interesting one. We're at a point where consoles are far outliving their predecessors, and the IPs coming to the new advanced hardware make for some of the prettiest and most engaging games to date. We hope to see a ton from Sony, Nintendo, and Square Enix on their IPs and projects for the next year! Do you want to tune into E3 this year? All of the press conferences will be live-streamed over on Twitch TV, the official streaming partner of E3. Here is another link to a blog post from Twitch, so you can see some of what Twitch has planned for the week of E3. Did we miss anything? Are you excited for a specific event? Do you have more information than we do, that might help our readers better understand E3, or the panels at the event? Drop us a line through our form below, or on the corresponding Facebook and Twitter. If you're attending E3 this year, we would love to hear from you about your favorite events, press conferences, and announcements.